Bio-Psy is strongly committed to improve training of young neuroscientists and psychiatrists. 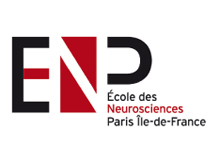 To reach these goals, Bio-Psy relies on a partnership with the ENP, a foundation created in 2007 with the aim of uniting the various Parisian research sites involved in Neurosciences and to promote networking as well as teaching and training at the highest levels, with the creation of an international PhD program. ENP also supports meetings and collaborations of participating teams in order to increase their international visibility. The ENP regroups over 100 laboratories involved in neuroscience research. Most of Bio-Psy's teams are also part of the ENP. Bio-Psy's goal of achieving progress in psychiatry research would be unattainable without the ability for research teams to work closely with clinicians. 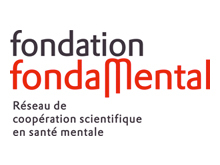 In recent years, the FondaMental Foundation has allowed the acceleration of progress with the creation of a clinical infrastructure sharing detailed assessment procedures that can be used nationally across sites with a high level of inter-rater reliability (e-FondaMental medical files). This infrastructure represents an invaluable resource for both clinicians and researchers and will allow large-scale projects to be undertaken. FondaMental regroups 34 Expert Centers organized around pathologies in 4 distinct networks (ASD and Asperger, Schizophrenia, Resistant depression, and Bipolar Disorders). The Expert Centers of each network propose a systematic advice on personalized treatment strategies to patients being referred by a general practitioner or psychiatrist. Expert Centers provide support to clinicians in delivering care plans from systematic case assessment, with cross-center reliability. Furthermore, unique extensive and common clinical databases are created with a web application, often associated with collection of biological samples and made available to clinicians and scientists for research on specific pathologies.